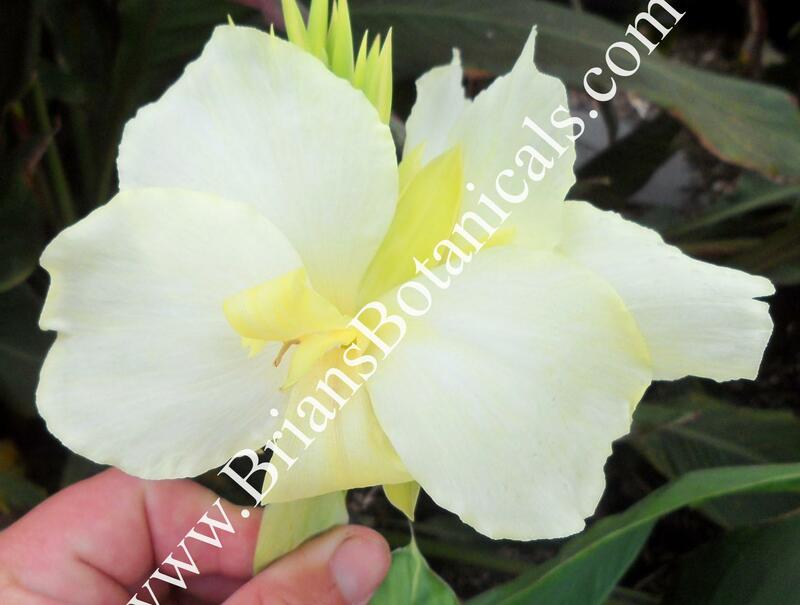 Canna Alaska is a hybrid with green leaves and white flowers. Growing up to 6 feet tall and producing nice large flowers all summer. This is a great canna to contrast with the darker leaf or red flowering cannas like Australis. Plants grown in 4 1/2 inch pots.